Fans of Country Music must be exhausted by this point of the year due to all the great performers that have been on tour this year. Don’t start to rest yet though because there’s a lot more to come, and country music cutie Chris Young has just announced his concert tour plans for the winter of 2016 and his tour is called the I’m Comin’ Over Tour. The Chris Young tour schedule has him performing shows and concerts in such states as Texas, Georgia, Ohio,Wisconsin, Minnesota, Michigan, Colorado, Montana, North Dakota, Pennsylvania and many more. Joining Chris Young on most of his tour will be two other popular country music stars Eric Paslay and Clare Dunn. Earlier this year, Chris Young released a new single named I’m Comin’ Over and it reached the number 8 spot on the US Country music charts. In 2014 he had 2 other hits released Who I Am With You, which also reached the number 8 spot; and Lonely Eyes which made it all the way up to the number 4 slot on the same music charts. 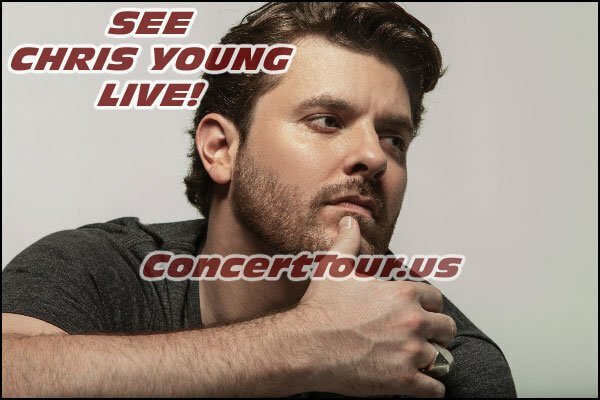 Look Below for the latest list of Chris Young tour dates, lists to look for Chris Young concert tickets, and some popular Chris Young music videos. Check back often to see if any added Chris Young tour dates or concerts are released. MUSIC VIDEO – Chris Young – I’m Comin’ Over – LIVE! MUSIC VIDEO – Chris Young – Lonely Eyes – LIVE! MUSIC VIDEO – Chris Young – Who I Am With You – Live! CHRIS YOUNG adds to the country music concert tours that are planned for the rest of the year! Country Music Fans Unite! Chris Young is a huge country music star who has only just begun to tap into his potential. Don’t miss a country icon in the making. See Chris Young live in concert today!